Remember the ant in my last article? The one who worked and worked on an impossible task and finally had to stop? I ended that article by asking if you know someone like that. I heard from many people who do–and a few who admitted to being that way. This post adds to the first article. Someone with whom I used to work was like that ant in many ways. She was busy, busy all the time and we couldn’t figure out why she wasn’t getting her work done. That is when we discovered she was taking on tasks she wasn’t supposed to do, because she liked those better. Volunteerism and creative initiative can’t take the place of doing one’s real job. Many offices have one or more employees who seem to be involved in Heculean labors. They sigh heavily, talk about how early they arrive and how late they stay. Often they try to drag others into the drama of their work by asking for excessive help, making every request a rush job and generally being a pain in the neck. Ironically, often the work being done by those employees isn’t vital work anyway. It’s a big crumb that didn’t need to be moved in the first place and won’t be useful when it is moved. Many managers and supervisors allow that to continue because it’s difficult to tell someone who seems to be working hard that their efforts are resented and ridiculed more than appreciated. Are you that kind of employee? If you are the kind of employee who feels you are doing far, far more than anyone else because of the hours you work , the way you rush around or because you’re over your head with busyness all the time, consider how you might appear to others. Instead of seeming to be dedicated and hard working, you may just appear to be showing off, disorganized or foolish. Are you doing your real work to the degree needed or are you creating work so you can impress others? Do you manage or supervise the work of an employee like that? If you are a manager or supervisor with an employee who has become a joke for his or her excessiveness about work or attempts to seem like the only one working, take action to bring that back into balance. *If you evaluate the situation and decide the employee is truly inundated with work, see about realigning it to be more equitable. *If you think the employee’s heart is in the right place but he or she simply isn’t managing time well, do some one-on-one training about that and consider reassigning work. *Stop work that is requiring far more staff and resources than the end result justifies–and don’t reward attempted martyrdom. *Be direct about the ineffectiveness of the employee’s work and the negative effect it is having on others. *Provide guidelines, set parameters and discuss what the employee should be doing more of and less of and what they should not do again. That is the manager’s kinder and more gentle version of SueJanTina, the miracle ant eradicator. Want to buy some SueJanTina Ant Eradicator? The summer I was ten, my friends Cheryl Sue Glaze and Janet Ross and I would spend the afternoons at Cheryl’s house making a concoction to kill ants–especially the ones near the swings where we liked to play at Frances Willard School in Arkansas City, Kansas. We thought the huge ant hill there was unsafe and should be eradicated, so we decided to invent a liquid ant killer. Also, mixing chemicals seemed like a fun thing to do. Cheryl’s Dad told us we could mix everything he gave us but we couldn’t touch anything else. We agreed (and it wouldn’t have occurred to us to disobey) and I would rush over to Cheryl’s house every afternoon so we could experiment with water, tea, sugar, salt, soda, lemon juice, liquid soap and vinegar. When we had mixed a new varation of those ingredients, we’d take it to the school yard and dump about a quart on the ant hill. We were nearly always gratified to see that we did away with some of them. (I know, I know, that sounds mean, but at the time it seemed like a fascinating scientific experiment. We named our product SueJanTina and half-seriously thought we might be able to sell it. Looking back on it that experience was prophetic about what the three of us might do when we grew up. Janet Ross English: Janet kept careful records of everything and had a whole notebook of our various mixtures. (Her mother was a pharmacist, which probably contributed to her tidy approach.) 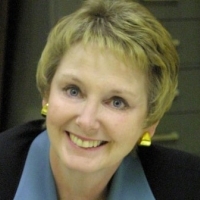 As an adult Janet worked as an administrator in a school district. She also was elected to the city council and served as the mayor of Arkansas City. She passed away two years ago, after fighting cancer for several years. Cheryl Glaze Geske: Cheryl mixed the ingredients carefully, put the finished miracle formula in jars and kept the counter tidy. She was precise about measuring and telling Janet exactly what to put in the records. Cheryl became a nurse. Tina Lewis Rowe: I never mixed anything or kept any records. Instead I stood on the picnic table in the backyard and yelled, “Come one, come all! 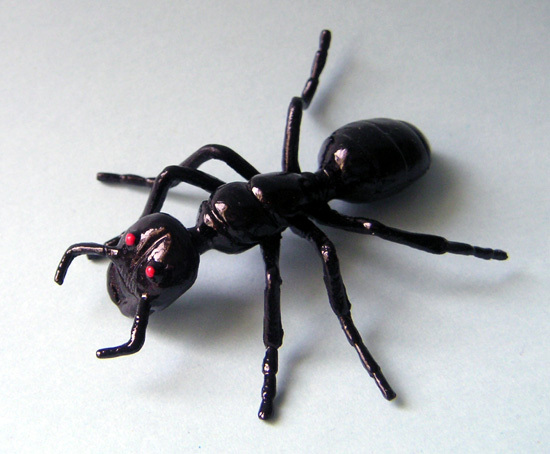 Buy the amazing SueJanTina Ant Killer! Available now at a store near you!” I had a complete spiel about the product and why everyone should buy it. We never found the perfect formula for SueJanTina and the next summer we were interested in other things. However, in Janet’s last conversation with me she mentioned the fun of those times and said she remembered it every time she drove by Frances Willard School. I thought of SueJanTina the other day when I saw an ant in my kitchen struggling with a big bread crumb ten times his size. I often have a few ants in the house this time of year and generally sweep them up and put them outside in the dirt (I’ve become much more humane as I’ve matured!) This one was so valiant in his efforts I decided to watch him and see how long it took for him to get to the door where the ants emerged and disappeared all day. 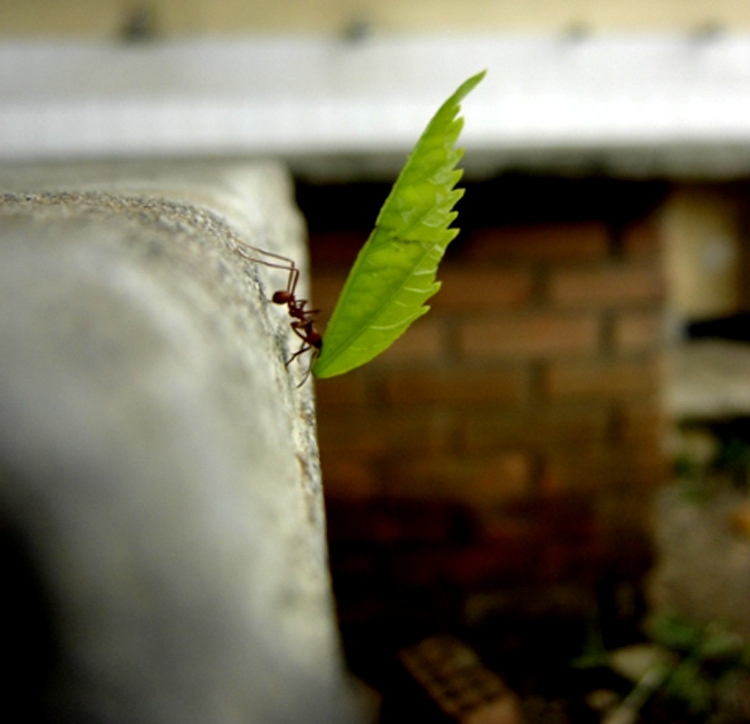 The ant staggered and dropped the bread crumb but eventually picked it up and moved forward. He dropped it again and climbed all over it trying to get a better grip. He toiled, he worked, he worked overtime and probably through his lunch hour. Finally he got to the door. I was thinking how industrious he was and what a lesson there was for all of us in his refusal to give up, even though he was almost overwhelmed with his task. That is when I realized the crumb was far too big to go under the door–and the ant realized it too. He spent the next hour trying to get the bread crumb under the door, to no avail. He left twice and brought back other ants to help. Each time the helpers would give a half-hearted try but soon leave and go back to their own work. Finally the ant went under the door without anything to show for his exertions. I purposely left the crumb where it was, to see if it would be nibbled into smaller pieces. Nope. It was still there a day later so I vacuumed it up. The ant showed perserverence by trying to move such a big crumb for so long. Unfortunately, he didn’t show good judgment about what crumb to move. Do you know someone who stays very busy doing work that shouldn’t be done? What about you? Part Two of this saga is in the next post! A person who talks fast often says things she hasn't thought of yet.